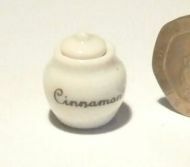 Pre-War - 1920's and 1930's - Kitchen, Dining and Storeroom Accessories. 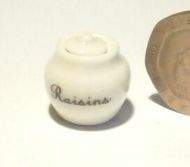 Large White Lidded Ceramic Kitchen Storage Jar, with the word "Raisins" on the front. 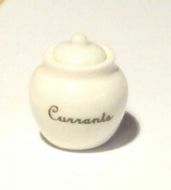 Large White Lidded Ceramic Kitchen Storage Jar, with the word "Rice" on the front. Large White Lidded Ceramic Kitchen Storage Jar, with the word "Salt" on the front. 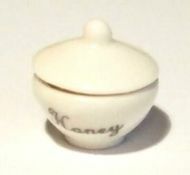 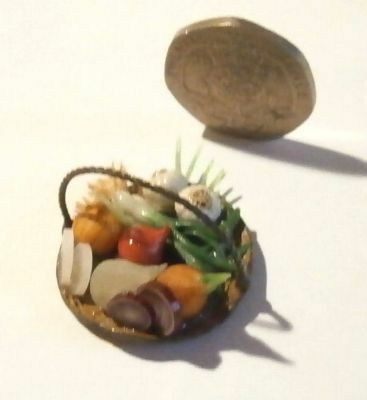 1:24th Scale Enamel Pan, that would have been used in the 1920s and 1930s.